MyNetDiary, a comprehensive food diary and calorie counter with online and mobile app services, announced its integration with two popular Withings products, the Wi-Fi Body Scale and Blood Pressure Monitor, allowing members to automatically send data from both devices to their MyNetDiary account to aid with monitoring their health and diet. "This integration with Withings makes it even easier for people to keep track of their diet, weight changes and health," says Sergey Oreshko, CEO of MyNetDiary. "We have always strived to make calorie and exercise tracking as fast and simple as possible, and now with the speed and technology Withings offers through its dynamic products members can focus more on achieving their goals and less on manually entering data." 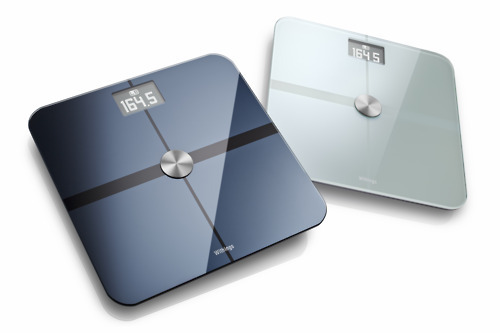 For MyNetDiary members who own a Withings Wi-Fi Body Scale, data from each weigh-in, including body weight, fat and lean body mass and BMI, can be downloaded automatically to their MyNetDiary account. And for members who have the MyNetDiary AutoPilot feature enabled, the new data will automatically adjust target calorie intake in conjunction with the recorded changes and the user's weight loss goal and target date. MyNetDiary members can also automatically link data from the Withings Blood Pressure Monitor and an iOS device. The Withings Blood Pressure monitor can measure systolic, diastolic blood pressure and BPM. Many MyNetDiary members already record their calorie intake and exercise through the iPhone and iPad apps MyNetDiary offers. "We are a leader in tracking for diet and health," says Oreshko. "Our service allows a user to track up to 45 different macro- and micro-nutrients, and record up to 20 different body measurements, more than any other calorie tracker on the market. Blood pressure and heart rate data play obvious and important roles in one's overall health, and they should be monitored when dieting and exercising for weight loss." "Weighing yourself and keeping track of your diet are obviously two major components of weight control, and MyNetDiary makes it very easy and seamless to do both" said Cedric Hutchings, Withings General Manager. "Through this partnership, we will make it a seamless process to keep track of your weight and your nutrition on MyNetDiary to help people reach their fitness goals more smoothly."